A concrete slab is still the best foundation you can have for your shed, garage or carport. The two main reasons for this are listed below. Your carport, shed or garage will need to be secured so it can survive a storm or heavy winds. Sure you can secure it straight into the ground or on a gravel/road base but if you were to experience heavy rainfall, your shed may soon become unstable and dangerous. The safe alternative is to create a concrete slab. And don’t worry... it’s not as hard as you may think. Because of its size and weight the slab won’t move or break. 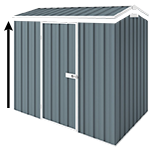 It’s an ideal foundation for securing your shed, garage or carport. a) Do it yourself using materials purchased from your local hardware store, like Peter young and his son did with their shed (click to see how they did it). 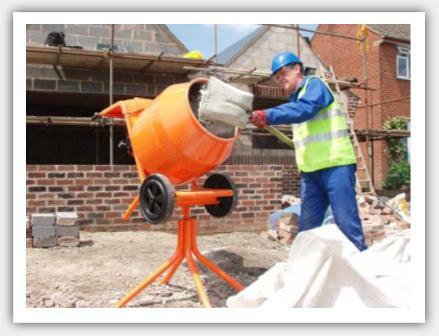 You can also hire a cement mixer from places such as Kennard’s or Coates Hire. Alternatively you can just mix it in your wheelbarrow. 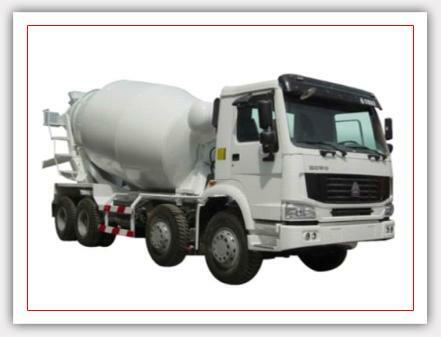 b) Hire a cement mixing truck to come and pour the slab for you. This is the easy and time convenient way. So no matter which way you do it, at the end of the day you’ll have a secure foundation for your new shed. Laying a concrete slab means you’ll have a level floor to work on. If you’re planning on fitting out the inside of your shed with shelves, workbenches and so on you will need a solid level surface. To ensure your surface is level, use a ‘spirit level’ or plank of wood (as seen in the video). If your slab surface isn’t level, your shed may slope or experience twisting over time. If you’re parking your car on top of the slab or placing machinery such as a mower, you won’t have to worry about fluids that may leak from the machines leaking into the ground. It’s easy to clean off the concrete floor. Another great thing you can do with the floor is go to a carpet shop and ask for some 2nd hand carpet or carpet they may be throwing away. This is ideal padding for the concrete floor as it’s cheap and protects the floor surface from damage whilst also providing cushioning for your feet. How easy is it to lay the slab? Watch the below video that shows the necessary steps when preparing and pouring your concrete slab. Soon you’ll see just how easy it is! So for a safe and secure structure, ensure you lay a concrete slab.